If you follow Dixon’s facebook page, twitter, or instagram, you might have noticed posts featuring our students, teachers, and staff holding a sign telling you what they’re thankful for, catalogued under the hashtag #PCSDGratitudeChallenge. 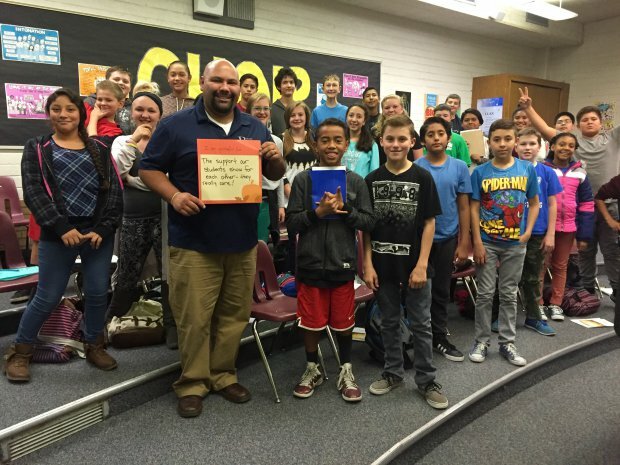 At the beginning of November, Provo School District asked all the schools to undertake the challenge of finding something they were grateful for every day and posting it online with this hashtag. The response at Dixon has been overwhelming, and even caught the eye of the Daily Herald, which ran a story about the challenge over the Thanksgiving holiday break. 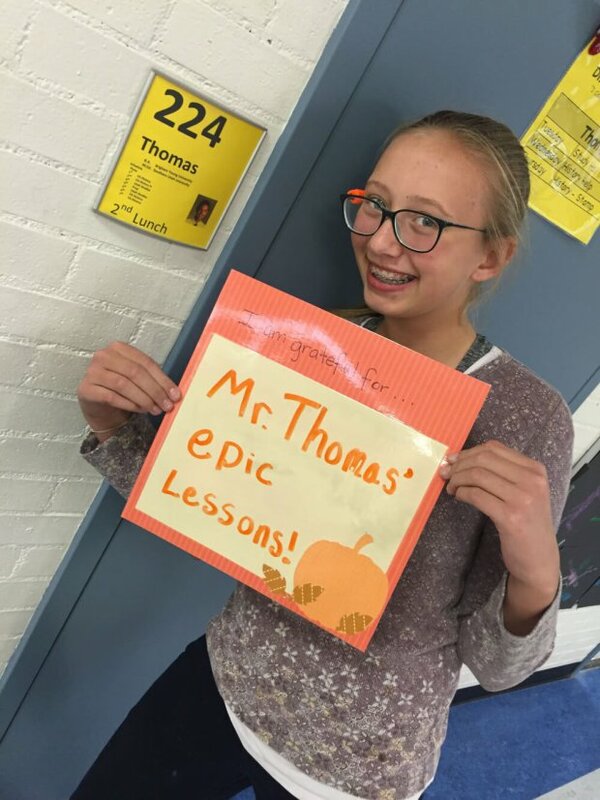 Many students have written how grateful they are for certain teachers, whether it was because they made them laugh or because they have epic lessons, as Kate’lynn Miller wrote. 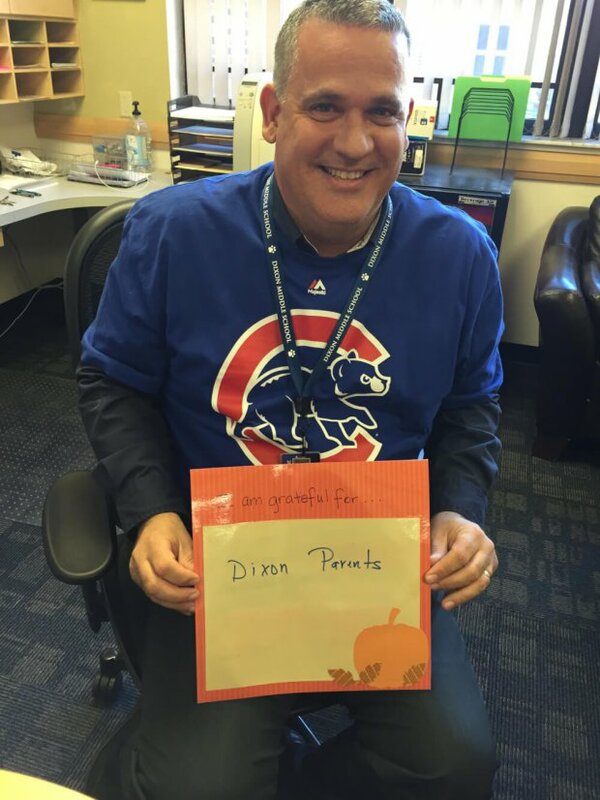 Many teachers wrote they were grateful for the students here at Dixon, and Mr. Sites said he was very thankful for all of our awesome parents. Keep an eye out as the month continues on for more entries of the Gratitude Challenge, posted on our facebook page.